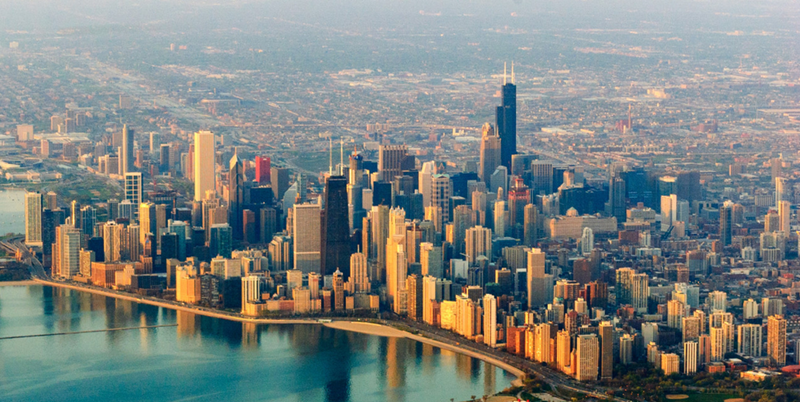 Chicago really is the best city in the world—and we have the numbers to prove it. In light of the recent Time Out article, which declared Chicago as the number one city in the world for the second year in a row, it’s worth sharing a few of the top reasons for Chicago’s victory. Between dining, city life, attractions, and art, Chicago’s rich culture makes for a high quality of life for locals and an amazing vacation spot for visitors. Here are the main reasons why Chicago is the top place to visit—and maybe even stay forever. Chicago boasts fantastic restaurants—from hidden gems and casual spots to Michelin-rated experiences. There’s a cuisine, ambience, and price-point for everyone, and there are so many restaurants to choose from in each distinct neighborhood. In Time Out’s City Life Index survey, Chicagoans were extremely satisfied with dining options—and not just deep-dish pizza or hot dogs with no ketchup. Yes, Chicago is cold in the wintertime, but it’s nice to have four distinct seasons, and not many cities have this advantage. Many places have blended seasons, where there aren’t notable perks to look forward to each year. In winter, you can ice skate, go to outdoor holiday festivals and markets, and snuggle up for a romantic evening, amidst white, sparkly snow. In the fall, the colors on the leaves are breathtaking, and the summer’s boating and beach season is a known pleasure around the world. Not many cities have access to beach and water right in the heart of the city. There are so many fun things to do in Chicago right at your fingertips, making it easy to enjoy yourself and explore the city, taking in all that’s offered, one season at a time. Chicago is a great destination for exploration, education, and beauty, and there’s a plethora of museums, exhibits, performances, and architecture to build an appreciation for the city and its history and indulge your curiosity. You can learn so much in this amazing city and see spectacular talent in the arts, whether it’s through paintings, dance, theater, or comedy. A few Chicago insider tips—stop by The Art Institute of Chicago, take in a musical or comedy show at Second City, and go on a city boat architectural tour when the weather’s nice. You’ll never feel bored in Chicago—simply head to a different neighborhood, and you’ll feel as though you’ve been transported somewhere else. Each neighborhood in Chicago offers something new and exciting, with an environment that differs from other neighboring hoods. Each area in Chicago has a vibrant personality, with shops, buildings, murals, and dining that depicts the crowd and culture. When visiting Chicago, take a wide tour and spend a few hours in each place.